What better way to cap off a brilliant day out at The District Docklands, than with a cup of ice-cream. Plus, with 52 flavours of ice cream and gelato to choose from, Mamma is guessing you will find something that suits EVERYONE’S taste buds. The shop itself is standing room only, but there is plenty of space and chairs outside (and undercover) that you can sit back and enjoy your cone. You might event celebrate your rainbow on rainbow cups with a cheers! 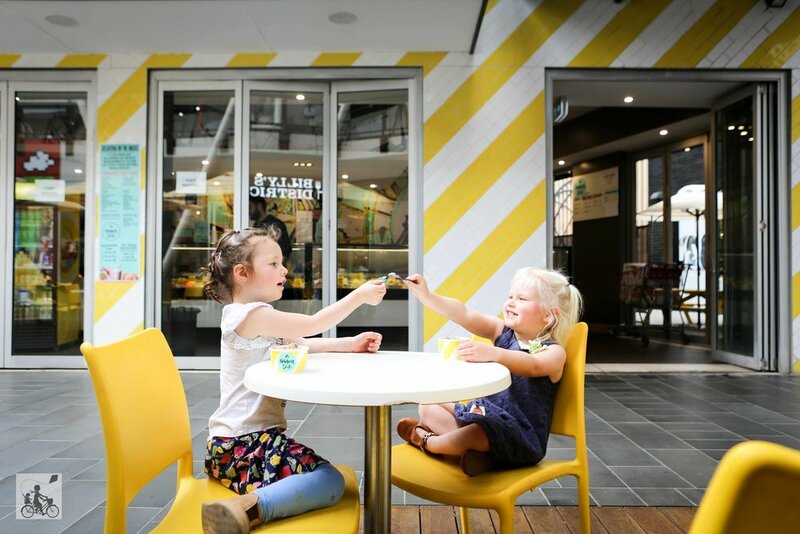 Mamma's special mention: One of Mamma's fav destinations for a shop and a play is THE DISTRICT DOCKLANDS. Why? Because there is always fun to be had! Check out our whole page of Family Fun at The District Docklands. Check out our FUN at The District Docklands Page for more inspiration!